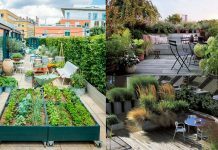 Want to improve the privacy of your rooftop garden? 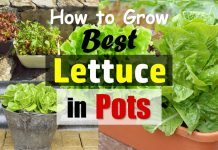 See a few helpful ideas for you to follow. 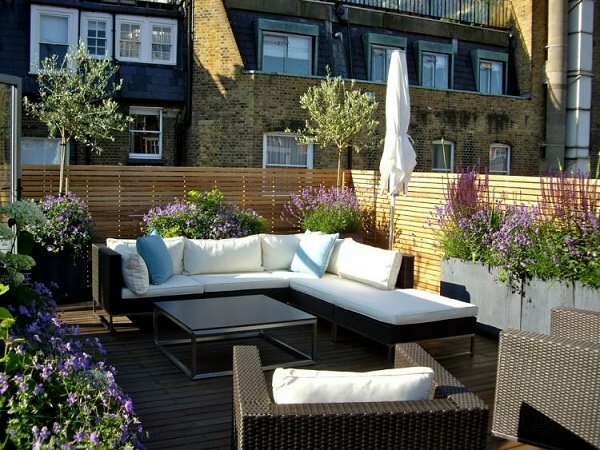 One of the main advantages of having a rooftop or terrace is that you have a wide view from all sides but in some cases, this advantage becomes a disadvantage, if your rooftop is exposed to the view of all the neighbors or you have a bad view from there. 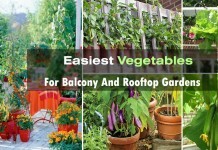 You can grow small trees and large shrubs on your rooftop garden to hide it from neighbors. 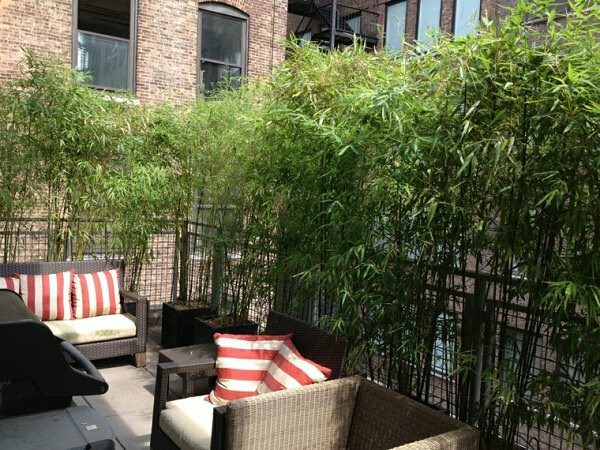 Bamboos are a great way to cover a balcony or terrace for privacy. They grow quickly and are low maintenance. 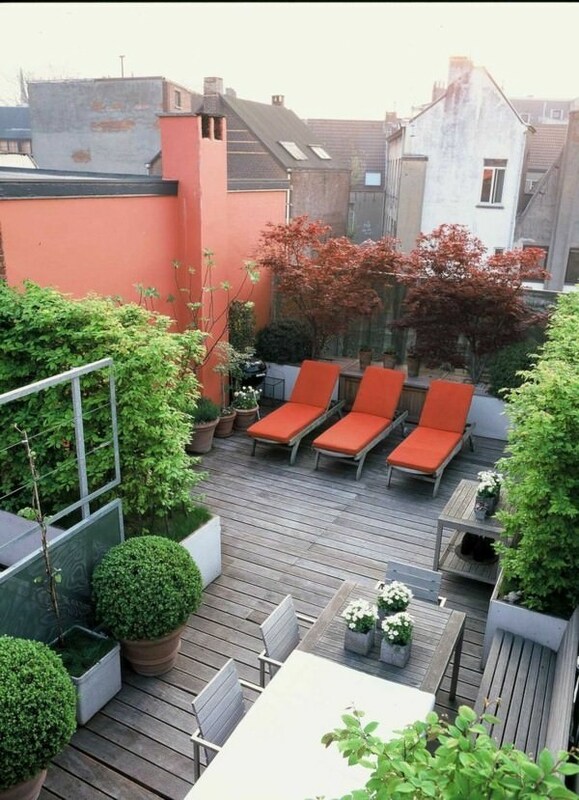 Cover your terrace garden with wood to give it amazing modern look. 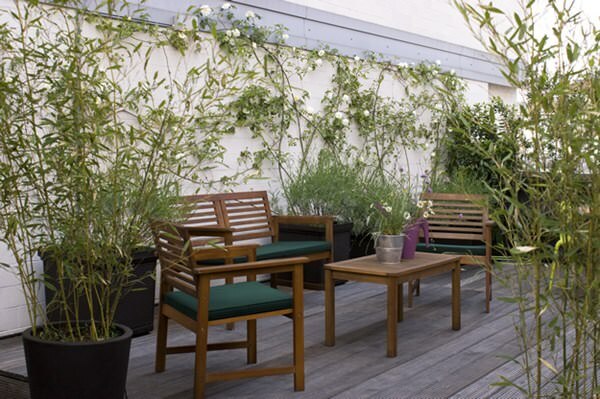 You can grow hedging plants all around your roof terrace to hide its view for others for privacy. Busy person? 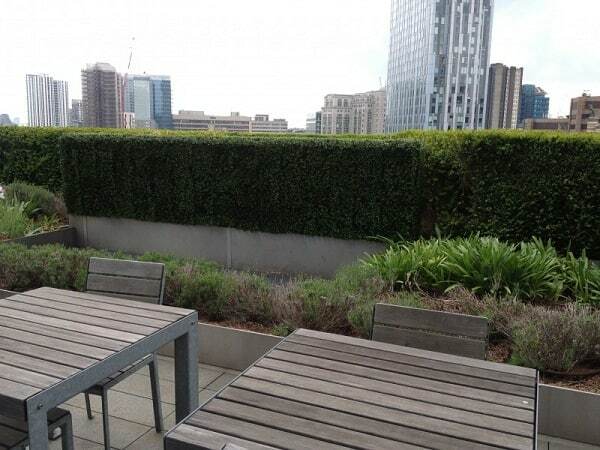 Artificial hedging is the solution. 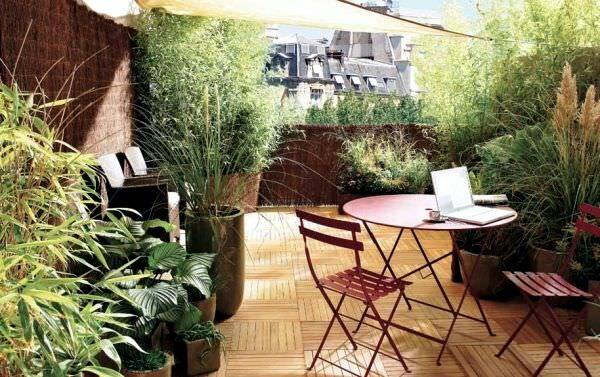 Covering a rooftop with a fabric is a maintenance free solution which you can opt for.